Life as Pink Einstein | Dallas Fashion and Lifestyle Blogger: My birthday! 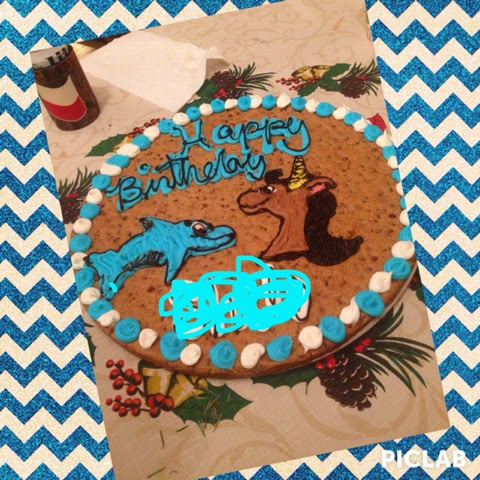 I know my birthday was right before Christmas, which was a long time ago but I wanted to post a few pictures from it. So my friend Saylor was joking around with me the day before my birthday saying she would get me Starbucks and she actually got me some! I was the happiest girl alive, I even did a high pitched girly scream! 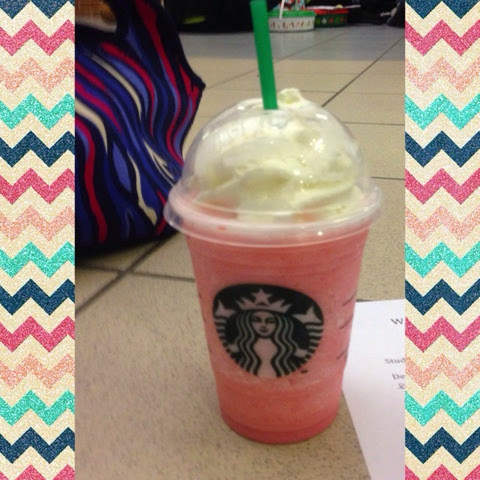 :) if you didn't know, the cotton candy frap is my favorite Starbucks drink. 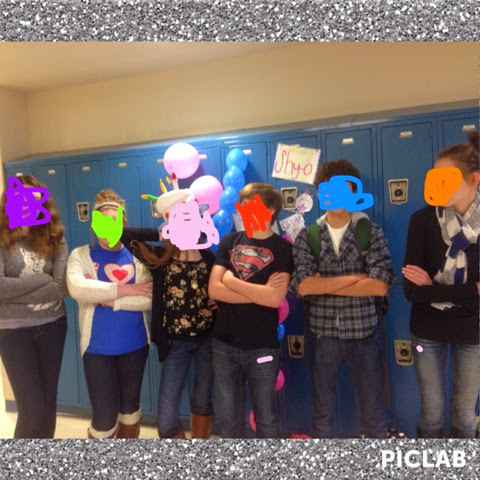 My friends thought it would be fun to through me a party at my locker and the covered four lockers with decor including inside jokes and balloons, invited my whole science class, filled my locker with candy, and we ate cake balls. I was literally the happiest girl alive! From left to right we have Elizabeth (purple), Whitley(green), Me! (Pink), Jonah (red), Sami (blue), Madalyn (orange).